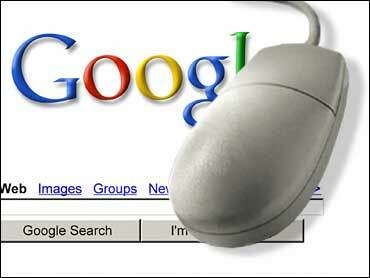 A California judge has sided with Google Inc. in an age discrimination lawsuit filed by a former manager who alleged the online search engine leader had fired him because he didn't fit in with the company's youthful culture. Santa Clara County Superior Court Judge William Elfving granted Google a summary judgment on all the case's key issues in a Sept. 21 ruling. The judge concluded that Brian Reid, formerly Google's director of operations, hadn't presented enough evidence to prove Google fired him in February 2004 because of his age. Reid, who was 54 when he filed the suit more than 14 months ago, said one of Google's executives told him that he lost his job because he didn't fit into Google's youthful atmosphere. He also contended that Google discriminated against him for having diabetes – another allegation that Elfving found to be meritless. Amy Lambert, Google's senior employment counsel, said the Mountain View, Calif.-based company was pleased with the outcome. "Google values the diversity of our work force. The accusations in this case were completely without merit and the judge's ruling unequivocally affirms that," she said. Lorraine P. Ocheltree, Reid's attorney, didn't return calls seeking comment Friday. Since its start in a Silicon Valley garage seven years ago, Google has blossomed into one of the world's best known companies on the strength of its renowned search engine. The company employs nearly 4,200 employees and expects to hire thousands more in the next few years. Reid's firing cost him an annual salary of $200,000 and 119,000 Google stock options with an exercise price of 30 cents per share, according to his lawsuit. Those stock options would have been worth $37.6 million Friday, based on Google's closing price of $316.46 per share on the Nasdaq Stock Market.